I would like to make it clear that this conclusion is my own opinion and not the opinion of any association or organisation. On the morning of June 24th 1967 a group of ten cavers met in the Cafe Royal in Grassington Main Square (now called Annie & Betty’s) to discuss their imminent visit to the far reaches of Mossdale Caverns. The group were aware of the weather forecast for that day: thunder storms for late in the afternoon, expected mainly in the south of the country. That weekend was preceded by a prolonged dry spell of weather in the Yorkshire Dales and the moor tops were quite dried out. Up to that point, June was considered to have been a dry month. A depression S.W. of Ireland will slowly move north and associated troughs of low pressure will cross all parts of British Isles. England, Wales, and Northern Ireland and South Scotland will be cloudy with rain at times which will turn thundery in many places during the afternoon. Warm in the South East near normal elsewhere; Lake District, Isle of Man, North East England, Borders, North West Scotland, Northern Ireland: Cloudy rain at times, thunder in places, Mostly Dry in the evening: wind S.E. moderate mostly, locally fresh, normal temperatures, maximum 17C. (63F). Despite this, a discussion took place regarding the safety of the forthcoming trip into Mossdale Caverns. The general opinion amongst the six very experienced cavers, who were to go to the end of the known cave (Far Stream End Caverns), was that it would be safe to do so. The expectation was that if it did rain, they knew of safe places within the cave where they could sit out any flood waters. The remaining four cavers only intended to go as far as Rough Chamber and return to the surface. Shortly after the party entered the cave they split into two parties, six in one and four in the other. The six cavers in the first party weren’t seen alive again. No one knows what happened after the parties separated, the rest is speculation. What is known, from subsequent visits to the blockage at the end of Far Stream End Caverns, is that the party reached there safely and carried out a small explosion in an attempt to push further into the cave. The group were well aware of the need to leave the cave and not to return to view the results of the explosion, and it is safe to assume that they began their journey out immediately after detonating the explosives. Conventional thinking is that on the way out of the cave, the cavers were most likely overwhelmed by a wall of water coming down Far Marathon East toward them. The stream sinking at the foot of Mossdale Scar and entering the cave is last seen at the constricted end of Syphon Passage. It is now thought that when the capacity of Syphon Passage is exceeded by a rise in flood water entering the cave, the water backs up and then takes an alternative course and goes down the Marathons. The wall of water that swept down the Marathon passages in June 1967 drowning six experienced cavers, was almost certainly caused by a flash flood, the volume of which was increased by recently dug drainage channels on the moor above the cave known as ‘moorland gripping’. I personally have seen the effects of a flash flood magnified by the construction of Moorland Grips’. In the spring of 1965 a group of us which included John Ogden, Bill Frakes and Colin Vickers, three of the cavers who died in the Mossdale Caverns tragedy: had planned a trip down Hull Pot on Pen-y-ghent. The idea was to look at the terminal sump and the possibility of diving it at a future date. When we arrived at the large surface opening that is the entrance to Hull Pot, the weather had deteriorated to heavy rain so we decided to remain in the large entrance chasm and explore about for a while. As the rain became heavier and developed into a deluge, a huge wave of water suddenly and without any warning poured over the edge of the shaft where there is normally a small stream. Within a few minutes the water in the entrance had become ten to twelve feet deep and we were able to swim around. In 1956 a delegation of leaders from the Upper Wharfedale Fell Rescue Association met with the late W.D. Roberts and discussed with him the problems of a Mossdale rescue, particularly in times of flood. They asked for permission to dig a long deep channel to divert the water away from the cave entrance. 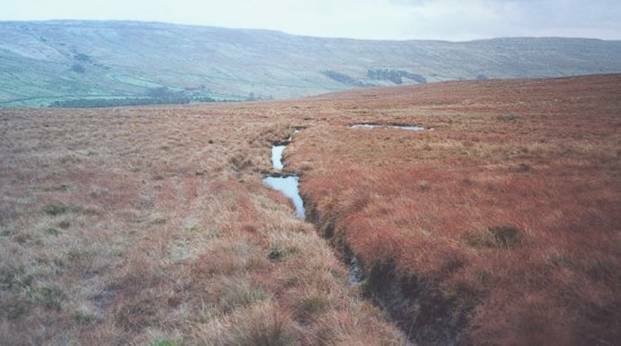 Permission was not granted as the person thought to be the landowner at that time would not permit this, as the diversion would have involved diverting the stream onto other peoples land. The application was not pressed and it simply faded away. Moreover, the caverns had been closed for some time due to movement in the large boulder fall at the entrance. I believe that it is fair to speculate that had such a diversion channel existed in June 1967 it would not have saved the lives of the cavers. During the 1967 attempt, to prevent the rescue parties from being overtaken by flood water, there was at one time, at least four JCBs/bulldozers and 200 people manning the dams which had been constructed outside the cave and even then, it came very close to being overwhelmed. Some people might say that the cavers should not have been in the cave as thunder storms were forecast for other parts of the country and we know that the weather is notoriously unpredictable. There had been some rain over the Grassington area in the previous few days, but the moors appeared dry and the quantity of water entering the cave was well below normal. The weather forecast for the north had been noted as 'bright periods, chance of thundery showers'. Dave Adamson was, of course a well respected caver and a known expert on Mossdale Caverns. Dave knew of places within the cave where, in most cases of flooding it would be considered safe to sit it out. At that time it was not suspected that the capacity of Syphon Passage to take the flood waters could be so completely overloaded during a deluge. I have managed to keep a sane view on Mossdale by asking myself what David would wish me to do about his interests. Would he have wanted to keep others out? Would he want to deter others from gaining the knowledge that he sought? I know he would say "carry on and the lessons learnt, apply them". (5) Brook, Dave (July 1971). "Some Aspects of Moorland Gripping". University of Leeds Speleological Association Review (8): 6, 7.